Has Challenge Roth been on your "bucket list" for awhile? Here's your chance to make the dream of racing in picturesque Germany a reality! This isn't just a long-course triathlon; it's where world records are set for the 140.6-mile distance. It's a legendary event. And it's produced with passion by the Walchshoefer family and their amazing staff - an organization recognized and admired globally for providing a race experience that is unrivaled for athletes and spectators alike. 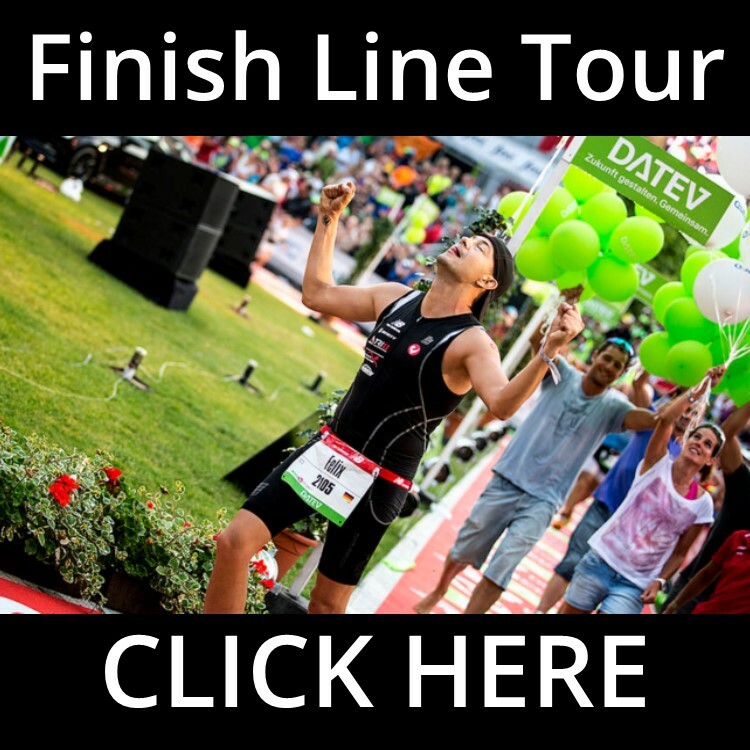 FINISH LINE HOTEL - STAY IN ROTH! This is the ultimate way to experience Challenge Roth for both athlete and spectator. Family-friendly! All of our Challenge Roth race week tours include guaranteed race registration access if you need it into this sold out event. Those already holding a race slot are welcome to join our tours. Reserve your place with a $500 (U.S.) per person deposit, non-refundable and non-transferable. Please read the full terms, conditions and review our easy booking process below. Space on each tour is limited and sells out each year, so be quick and book your spot today. CHOOSE A TOUR. Our 5-night tour begins on the Thursday prior to race day and concludes on Tuesday, post-race. Our 7-night tour begins on Tuesday prior to race day and concludes on Tuesday, post-race. Our 7-night finish line tour is also Tuesday-Tuesday. Consider adding our post-race tour extension, and additional services to enhance your stay such as pro bike assembly and dis-assembly for just $150. Detailed training plans written for this race and delivered in Training Peaks are also available as an add-on at checkout. MAKE YOUR DEPOSIT of $500, non-refundable and non-transferable, for each racing athlete and/or spectator. All tour packages are priced per person. Spectators have access to all services, tours, shuttles, parties, "swag" and activities included in the tour package. Special price available for children age 13 or younger (age on race day). Children age 3 or younger travel at no charge. We welcome families! Submit your deposits via our easy and secure checkout system. Call us at 1-855-872-8669 with any booking question. CONFIRM. You'll receive confirmation from us by email that your deposit has been received. Your race entry access code with instructions will be sent to you separately by email. Race entry fees are not included in the package prices; we furnish an online access code and you pay the race entry fee separately when you register yourself into the race. Race fee is typically $650. Watch more testimonials about our tours and camps. MAKE IT A ROTH "RACE-CATION"
Take advantage of our stress-free and fun way to see more of Europe with our 5-night tour extension to some of Europe's most treasured cities: Prague, Czech Republic and Salzburg, Austria with a bonus night in Munich! The antique convertible tour of Prague is a highlight of Europe’s Treasures! With 5-star accommodations, all ground transportation, experienced tour guides, daily breakfast and our top picks for things to see and do in each city, our Europe's Treasures tour is a fantastic way to celebrate and conclude your "race-cation!" Space on this tour is limited to ensure a small-group personalized experience. Book here after securing your Challenge Roth tour. Enjoy two nights in Prague, two nights in Salzburg, followed by one of the most scenic drives in the world through the mountains to Munich for your final day and night of the tour. Bike and extra luggage storage in Munich is also included. Checkout and flights home are on Sunday, July 12. Our 5-night tour of Prague and Salzburg with a finale in Munich is the best way to do a race-cation! Training plans specific to Challenge Roth are available from our Pro guide, Jessica Jacobs. Challenge Roth Training Plans - written for this course! We offer proven training plans available at checkout that are written exclusively for the Challenge Roth course for RaceQuest Travel athletes. Available in 16-week or 20-week options and adapted for every level of iron-distance experience, our Intermediate and Advanced training plans will ensure you arrive in Roth perfectly tuned to take on the Challenge! Our plans are created by our Challenge Roth race week Coach and Guide, Jessica Jacobs. Maximum commitment during your peak training volume build up is 16-18 hours per week for the advanced athlete and 14-16 hours for intermediate athletes. Personal coaching and Skype sessions are also available; please inquire at team@race-quest.com. "I already have a race entry. Can I still do your tour package?" Yes. We offer the 5-night and 7-night tours even if you obtained a race entry online from Challenge Roth. Our 7-night finish line tour offers premium accommodation steps away from the stadium. "Can I bring my whole team or club?" YES. The beauty of booking with us is we can accommodate large groups, ensuring that every team or club member gets guaranteed race entry. Make this your team's feature race for 2020 and we can help you with special group pricing and services. "Can I bring my friends and family? What is the cost for my guests?" Friends and family (Spectators) are very welcome on our tour! We put on a comprehensive VIP race day spectator tour that allows them to see the swim, bike, run and finish line area. We transport and guide your loved ones from point to point all day in this logistically complex event. With most of the roads closed, and transitions miles apart, our VIP spectator tour is the best way to see the race. We provide transport, food, drinks, and a special area of the stadium just for our group. Spectators and Athletes pay the same price for the Challenge Roth tour. Spectators enjoy all services and amenities, accommodations, etc. as athletes. Children age 3 or younger (age as of race day) travel with us for free. Childcare is also available for families with small children. "Can I ship my bike over? Can I ship it home one-way?" Yes and Yes. We partner with LuggageForward.com and we have years of experience with helping you get your bike to and from Germany. We provide you with our hotel shipment information and assist with the details. "Can I rent a triathlon or road bike?" Yes. We partner with the best local bike shop in the area to ensure a high-quality inventory of carbon triathlon and road race bikes. Bring your helmet, shoes and pedals and enjoy a bike that comes complete with hydration system, spare, flat kit, nice wheels and bike fit based on your existing measurements. The fee for the week for a bike rental is about $550. RaceQuest Challenge Roth clients enjoy access to bike rentals for race day. "What about travel insurance?" We strongly advise you take out travel insurance in the event you have to cancel your race tour. Changes and cancellations can be handled up until January 31 for the tour. After that date, all sales are final and no changes or refunds may be made, no exceptions. All $500 initial deposits are non-refundable, as they are used to secure your spot on tour. We have partnered with World Nomads to provide excellent coverage at budget-friendly prices. Go here to see just how inexpensive it is to insure your travel investment in the trip against financial loss. "How do I prepare for Challenge ROTH? I need a plan." We offer training plans that are written exclusively for this race course and accommodate every level of triathlon experience. Plans are written to begin 16 weeks or 20 weeks before race day. Personal coaching is also available, Want to book a one hour session with our Challenge Roth Pro Coach to ask your specific training or race questions? We can set it up! Please write to us if you need assistance with your preparation: team@race-quest.com. We can definitely help! "I'm not from the U.S. or the Americas region. Can I still gain entry and travel with you?" Yes! We primarily represent athletes from the Americas (Canada, United States, Mexico, and Central and South America), but let us know where you are from and we will get you into the Challenge Roth tour of your choice quickly! "What are the payment terms?" We confirm your booking with a $500 initial non-refundable deposit per person (athlete or spectator). A second installment will be taken on July 1 (50% of your balance), with the final amount collected on November 1. You also have the option of paying in full at time of booking; SAVE $100 on your total when you pay in full at time of booking. "What if I have to cancel?" Please take travel insurance to mitigate your possible financial loss due to unplanned cancellation. Up until January 31, if you notify us in writing on or before that date, we can immediately process your refund, less your initial $500 deposit. AFTER Jan. 31, no cancellations, changes, or refunds are permitted. A lot can happen before race day, and we would hate to see you lose your entire investment into the Challenge Roth tour. In the very unlikely event that RaceQuest has to cancel the event, you receive a 100%, full refund from us. 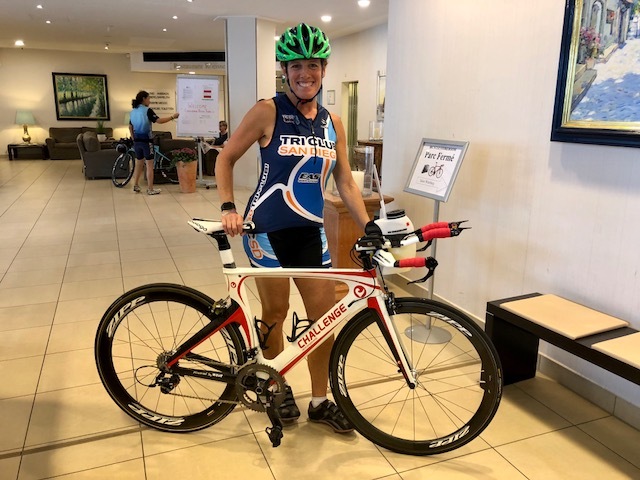 Read why the readers and editors of Triathlete ranked Challenge Roth one of the "bucket list" triathlons in the world, fully deserving of the buzz and hype it receives. Check it out!